My niece, Isabelle, just turned one and my sister threw her the most adorable birthday party. 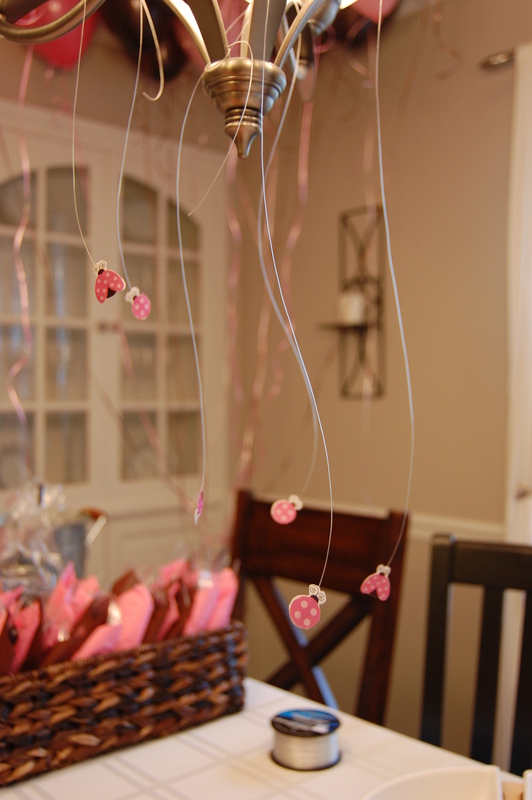 It was a pink and brown ladybug party and she thought of every detail! 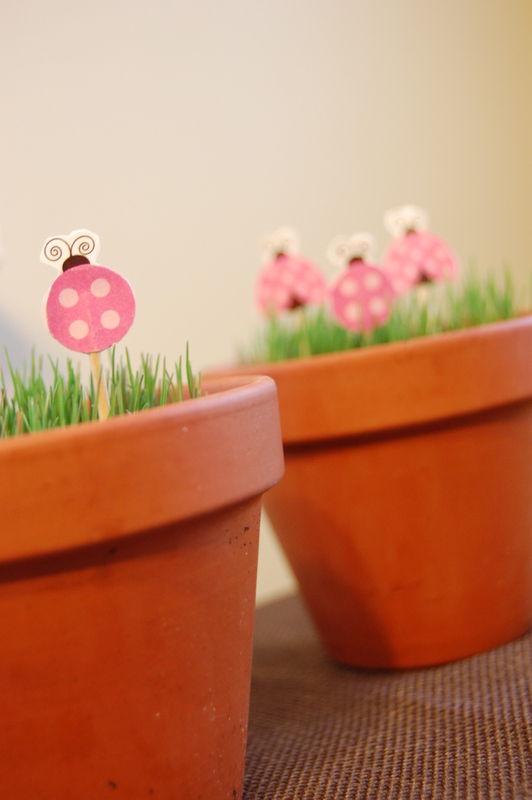 The house was decorated with pots of planted grass that were adorned with pink ladybugs! Flying ladybugs hung from the lights thoughout the house. Pink and brown were the colors of the day! 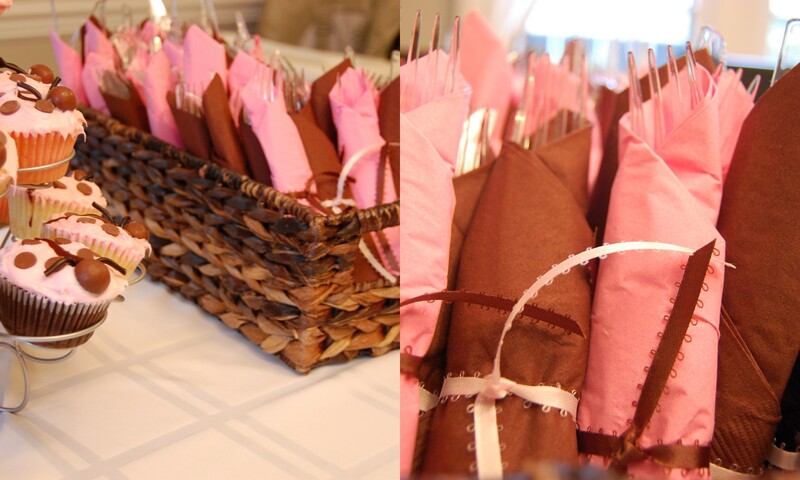 The napkins were wrapped in pink and brown and tied with coordinating ribbon. 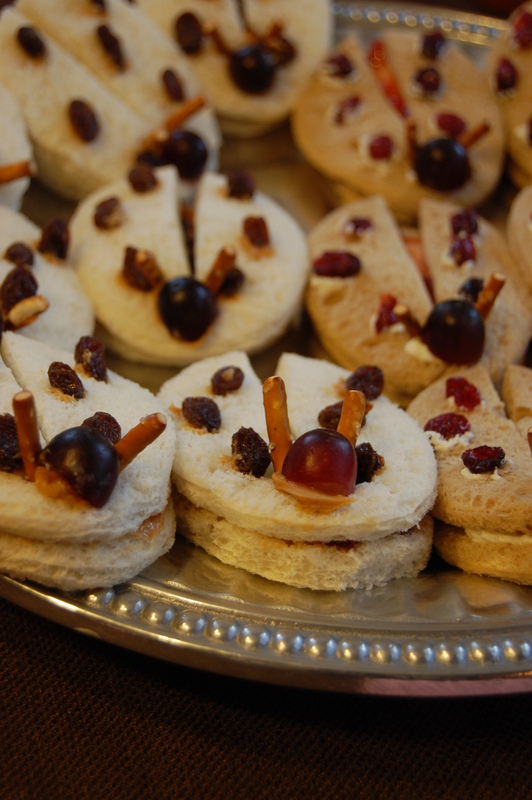 Guests snacked on “bug bites” which were PBJ’s and cream cheese with strawberry jelly sandwiches shaped to look like ladybugs. 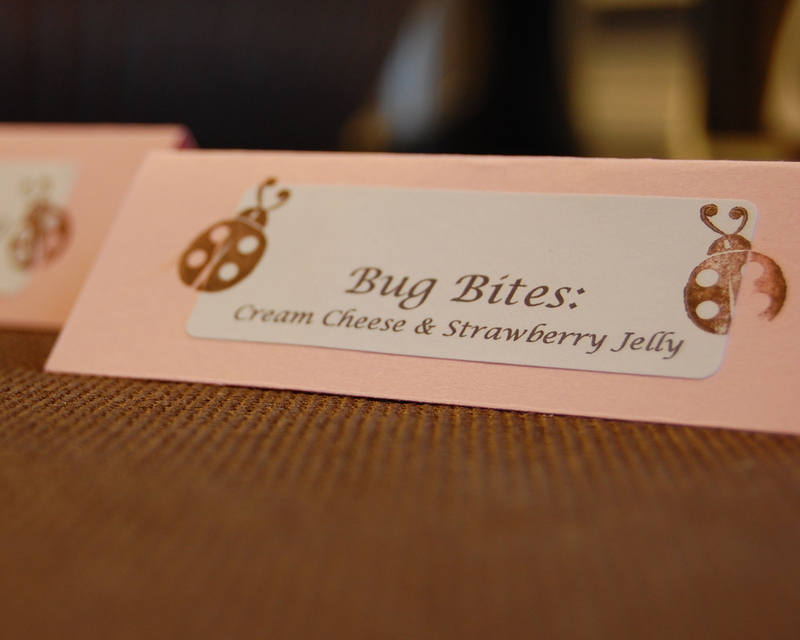 All food had adorable tags that were created with pink paper and a ladybug stamp. 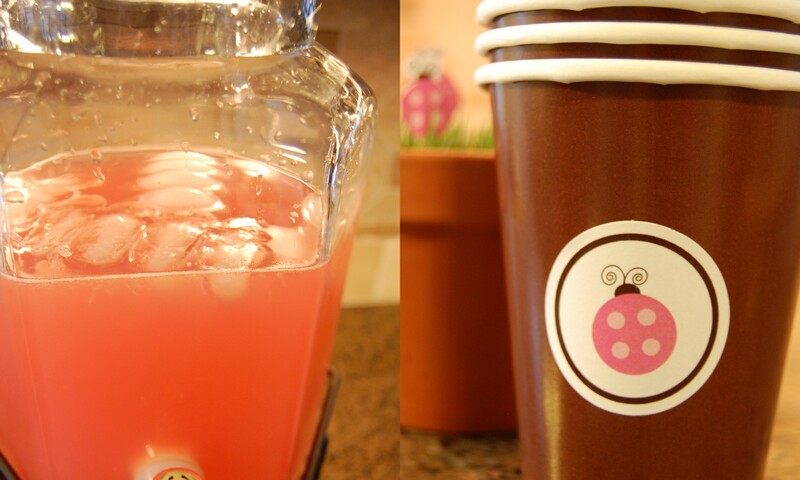 Guests sipped on pink ladybug lemonade from brown cups that had a pink ladybug stickers created by Ladybug Labels. 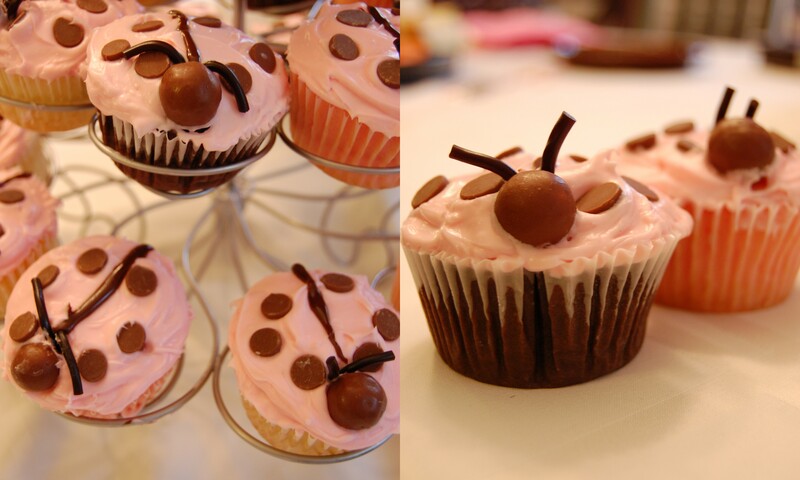 No ladybug party would be complete without ladybug cupcakes! The birthday girl had a special outfit too! 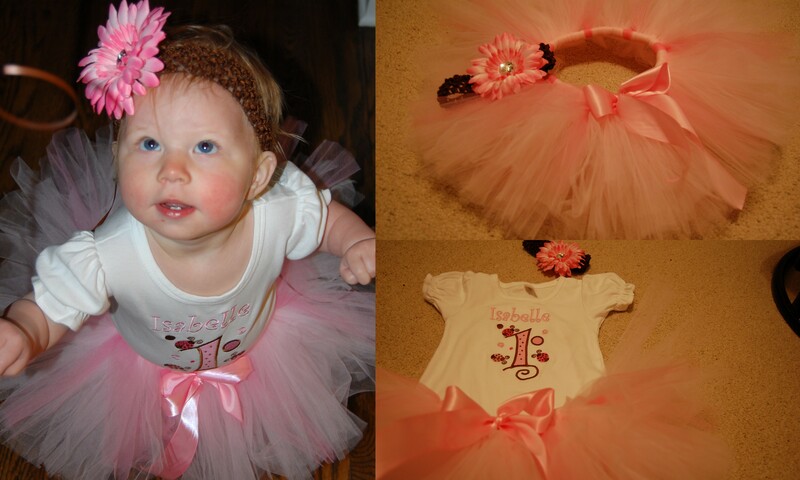 A pink tutu and headband made by Sweetie Pie Tutus with a ladybug shirt created by Sticheroos. 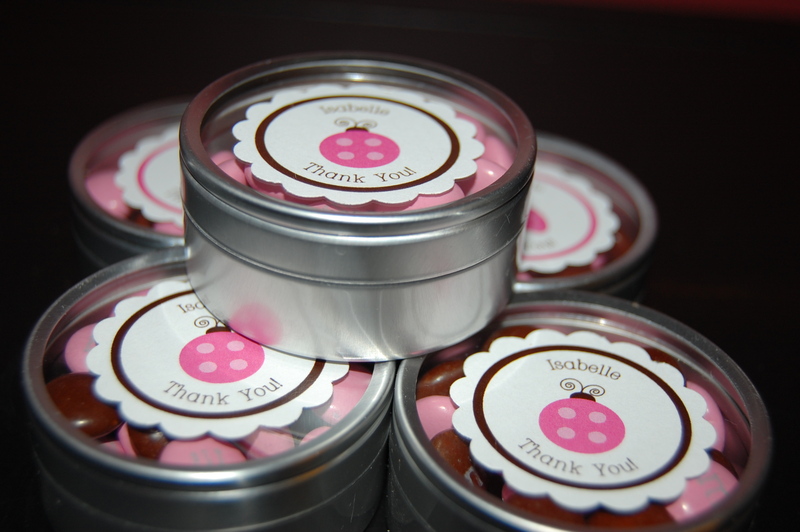 As favors, guests were given tins filled with pink and brown M&M’s and topped with an adorable ladybug tag also created by Ladybug Labels. Everyone, especially Miss Isabelle, enjoyed a wonderful party! Oh my goodness, could this be any sweeter? So creative!! What a cute party! It all looks wonderful! Anne, Where did the “flying ladybugs” come from? Do you know? I’m planning on doing red and black ones to hang from the ceiling for Mal’s party and those are SUPER cute! Hi Lindsay! They were actually just cut -very carefully- from the stickers that were used on the cup labels and then stuck on paper and glued back to back. I bet you might be able to find some kind of ladybug confetti that might make it easier. Can’t wait to see pics from the party!